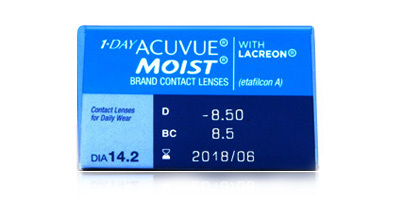 Made by trusted household brand Johnson & Johnson, 1 Day Acuvue Moist lenses are daily disposables which combine quality and convenience with comfort. 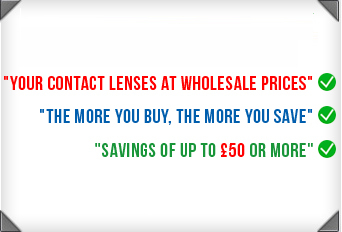 They offer the freedom from wearing glasses without the cumbersome care routine demanded by monthly contact lenses. 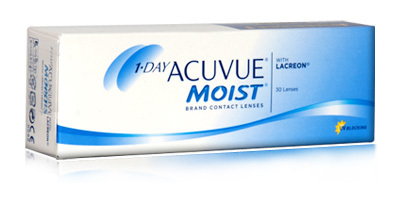 Whilst most daily disposable contact lenses offer around 50-60% UV blocking, 1 Day Acuvue Moist lenses supply enhanced Class II UV protection. They block up to 82% of AV-A and 97% of harmful UV-B radiation. These are high quality, durable daily disposables which are easy to apply and stay in position on the eyes until the moment you remove them. 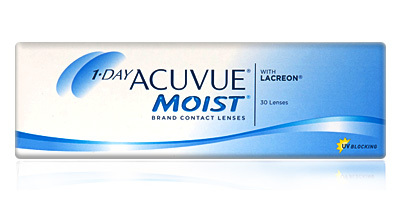 Johnson & Johnson 1 Day Acuvue Moist lenses are slightly tinted when solution is applied and have a 1-2-3 inside-out mark, which improves visibility and makes them far easier to handle than conventional contact lenses. Pop the lenses in, forget about them and get on with your day. I can order lenses from the web browser on my mobile through this website which is why I use it, it's really easy because it remembers my order from last time but an app to do this would be great. I had to call and amend the delivery address because it didn't ask me to check this before the order was placed so I didn't realise it was going to my old work address. This would be a good improvement. I ordered Monday lunch time. They had arrived by Tuesday evening. Every time I have contacted you for advice or to make an order the service has been first rate. I wouldn't go anywhere else and would recommend to others. Thank you for an excellent service. I wasn't expecting to receive it before my holidays but you made it to its best again! Thank you.